In the last six months, almost every major technology company has announced plans to jump into the e-book reader market. From fancy prototypes to cut-throat pricing, the coming year promises to be an exciting one for the digitally inclined. 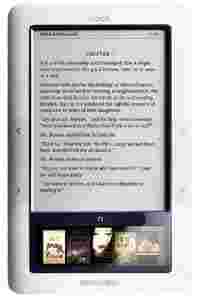 We look at six e-book readers already out in the international market. 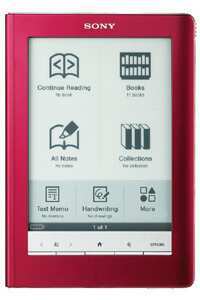 The entry-level e-book reader from Sony features a 5-inch e-paper display, and is available in multiple colours. It retails for $199 (approx. Rs9,300). The Touch edition Sony e-book reader has a 6-inch touch-screen panel that makes flipping pages, highlighting and note-taking easier than the other e-book readers available. Available in red, black and silver, it retails for $299. The wireless-ready Daily edition has a 7-inch screen (that means 30-35 lines of text visible at any point in time) which is also touch enabled. Users can connect wirelessly to Sony’s e-book store as well as load books and documents through USB. It retails for $399. Fujitsu’s futuristic Flepia is the world’s first colour e-paper reader, with an 8-inch screen capable of rendering up to 260,000 colours (compared with the Kindle’s 16 shades of grey). It promises 40 hours of battery life, and is currently available only through online purchase from Japan. It sells for 99,750 yen (approx. Rs51,400). The Barnes and Noble Nook has two screens—one 6-inch e-paper display for reading, and another colour LCD touch screen for browsing books, catalogues and changing options. It’s wireless enabled, runs on Google’s Android operating system, and retails for $259. Samsung’s first e-book reader is a tiny, compact device with a 5-inch screen. Launched in July, it’s currently available only in South Korea (through a tie-up with a local book store chain). It’s expected to be available outside the country in 2010, and currently costs 339,000 Korean Won (approx. Rs13,600).